The famous case of French journalist and editor Jean-Dominique Bauby, who was paralyzed after a stroke and left unable to speak, brought to public attention the condition known as locked-in syndrome. Though unable to speak or write, Bauby dictated his memoirs through the technique of partner-assisted scanning. Bauby’s aide, Claude Mendibil, slowly listed the letters of the alphabet according to frequency in the French language and when Bauby heard the appropriate letter, he performed the only motion that his body was capable of doing: He blinked his left eye. Now, fifteen years after the memoir The Diving Bell and the Butterfly was published, a groundbreaking new technology developed by researchers at the Maastricht University of the Netherlands may give people with locked-in syndrome and similar conditions the ability to communicate. While earlier research has centered on utilizing functional magnetic resonance imaging (fMRI) brain scans to enable patients to answer yes-or-no questions, pioneering techniques involve a letter-encoding system that may allow patients to effectively communicate complete thoughts. 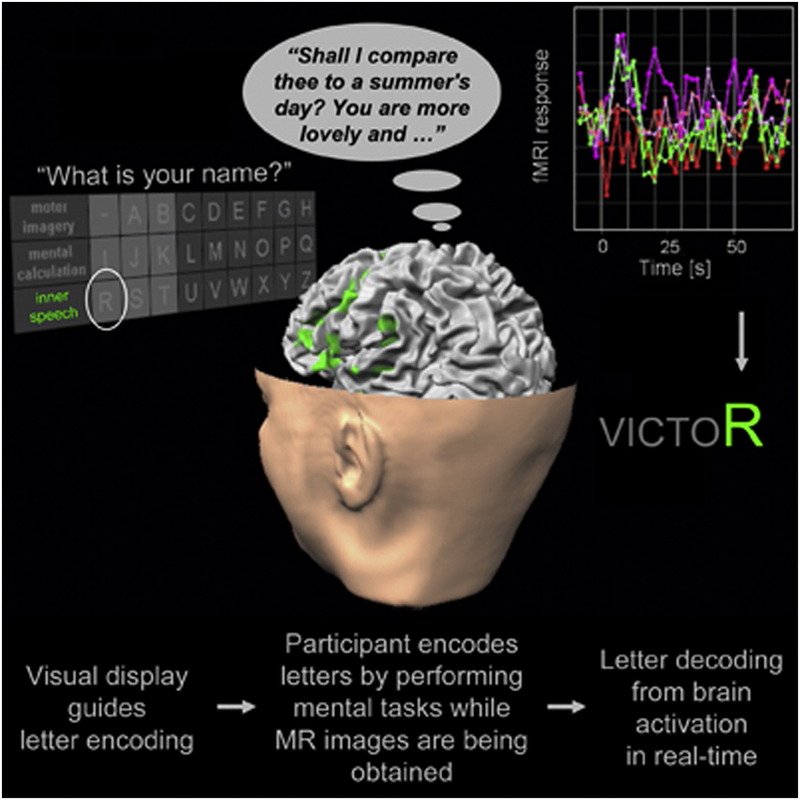 In the study, published in Current Biology on June 28, participants were asked to select letters on a screen and to engage in particular mental tasks for each letter for a given amount of time. This process resulted in 27 discrete brain patterns, each correlating with a letter of the alphabet, as well as a “space bar” between words. Researchers then held conversations with the participants by asking open-ended questions while brain scanners decoded the data in real time. The results were hopeful, as each test subject was able to effectively communicate answers within the span of a one-hour session. The implications of the technology are astounding. Currently, researchers are working to make the fMRI scans more portable and economical, making them more accessible to patients and their families. While patients seldom recover from locked-in syndrome, it is likely that in the future, they will still be able to communicate with the world around them.